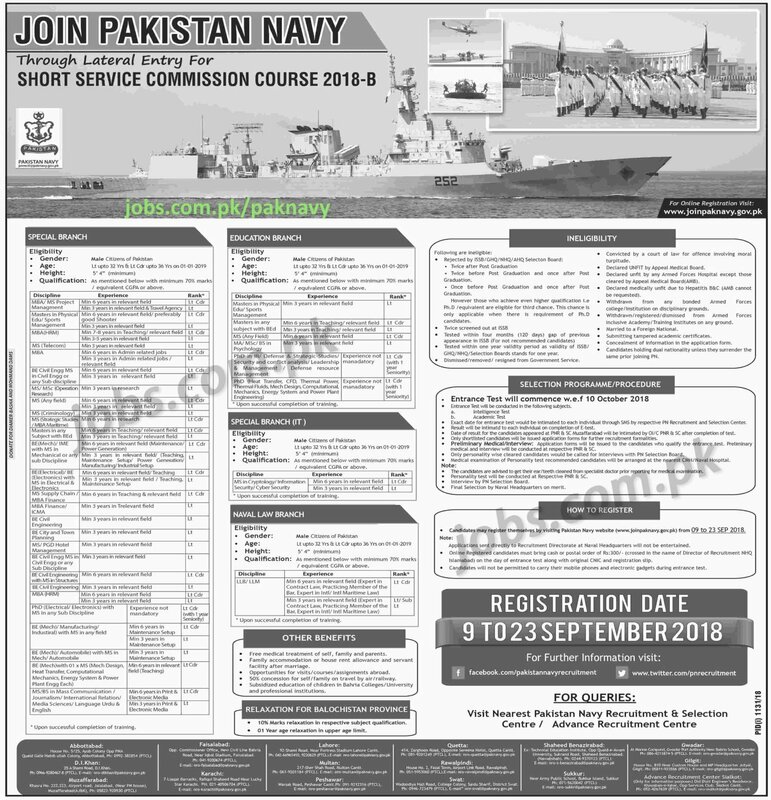 Join Pakistan Navy 2018: Pakistan Navy is inviting applications from eligible candidates to join the Pak Navy through lateral entry for Short Service Commission Course 2018-B in multiple branches including Special Branch (Multiple categories), Naval Law, IT and Education branches. Required qualification Qualification, Measurement, Age & Gender information are as following. 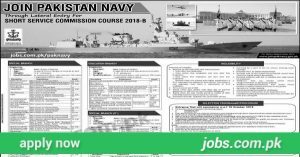 Eligible candidates are encouraged to apply online through Pak Navy website. Incomplete, late, hand written submissions/applications will not be entertained. Only shortlisted candidates will be called for following tests and interviews. See the notification below to see vacancies/positions available, eligibility criteria and other requirements. Eligible candidates must submit applications on or before 23rd September 2018.